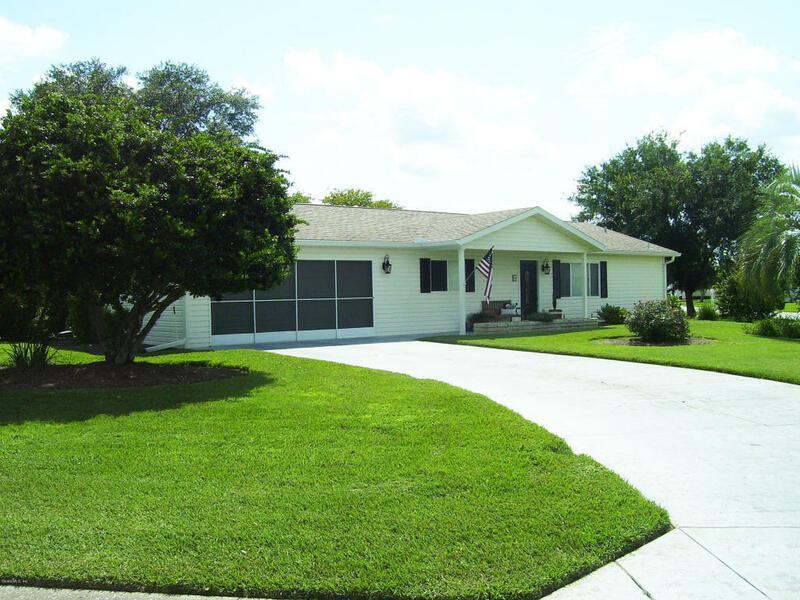 10436 SE 179th Place, Summerfield, FL.| MLS# 539376 | Spruce Creek Realty...Retirement Communities in Florida, Resale Homes In Spruce Creek South, The Villages, Stonecrest, Del Webb. Breath-Taking Knock-Out Custom 2 BR/2 BA home w/great curb appeal. Located on corner of cul-de-sac. Beautifully landscaped w/private backyard w/views of golf course from enclosed Lanai & extra large patio. Cathedral ceilings, laminated wood flooring throughout, w/tile in kitchen/baths & Lanai. Newer counter-tops/fixtures in bath. Updated kitchen has granite counter-tops & stainless steel appliances, deep stainless steel sink, smooth-top range, dishwasher, overhead recessed lighting. Oversized 26x20 garage w/lots of storage. This home has been immaculately maintained & is move-in ready. Valances in Master BR do not convey.